Prior to assuming her role as Executive Director, Jan Cairnes led the Hanley Foundation's Prevention Services for 18 years, raising grant funds to deliver programming free of charge to schools, churches, and community groups. Jan's enthusiasm and commitment to her leadership role accompany the Foundation's enhanced mission of providing expanded programming and grant support for statewide substance use disorder prevention, education, advocacy and access to quality treatment. As a Certified Prevention Professional, Jan understands the importance of educating families on the disease of addiction and the critical role that parents play in prevention. Jan is known for her high-energy, motivational presentations, which are coupled with her passion for parenting. These attributes have fueled her successful implementation of prevention and education strategies that have positively impacted the lives of parents and their children for over 25 years. A native Kentuckian, Jan received her Bachelor of Business Administration from Eastern Kentucky University. Jan joined the Hanley family in 1998 to bring a model approach to prevention education. She has co-authored two prevention programs including "Bounce: Be a Resilient Child," for children 6 to 12 years and "Aging to Perfection," an education program for older adults. She is published and has spoken at numerous local, state, and national conferences. 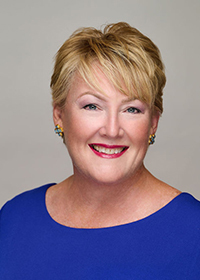 Jan's recent accomplishments include being on the Board of Directors of the Florida Alcohol and Drug Abuse Association (FADAA) and on the Board of Trustees for the Palm Beach North Chamber of Commerce. She was named a 2016 Soroptimist International of Boca Raton/Deerfield Beach Woman of Distinction and a 2017 nominee for a Central Palm Beach County Chamber of Commerce Women of Worth Award. She is an active member of the Forum Club of the Palm Beaches. Jan is a founding member of Professionals Against Doping and Narcotics Overdose Prevention and Education (NOPE) Taskforce. Jan represented Hanley Foundation and the Florida High School Athletic Association (FHSAA) at the United States Anti-Doping Agency's Clean Sport Alliance. She is a FHSAA official for track and field and cross-country and a member of the FHSAA Steroid Prevention Steering Committee. Jan was instrumental in Florida winning the prestigious Sports Illustrated Award in 2006 and was able to more than quadruple the program through her fundraising efforts. Jan was a finalist for Sun-Sentinel's Sports Person of the year in 2007, and in 2008, the Palm Beach County Sports Commission named her Outstanding Sports Contributor. Jan was named a Cardinal Newman High School Distinguished Basketball Crusader in 2008. In 2015, she was inducted into the Pineville High School Sports Hall of Fame in her hometown.